A mother uses 7 year old daughter to sell drugs. Now that is an alarming title. Sadly, this is a true story. 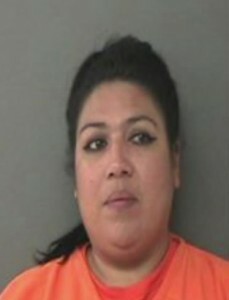 The mother, Silvia Palacios Tijerina, is in the Waller County jail. She is being charged with child endangerment and other crimes. The little girl has been taken to life with relatives. As disturbing as this sounds, it gets worse. Silvia was also letting intoxicated bar members dance with her daughter for money. It’s obvious that she has no concern for her daughter. What if she was offered more money? How far would she go in letting her daughter do things for money? Child prostitution comes to mind, when hearing this story. Thankfully, the police were able to get this child away before anything else happens to her. The scary thought is we do not know what else has happen to her. Who knows what happen at home? Police actually had to cut the undercover operation down, because there was a child involved in this dangerous act. This mother uses 7 year old daughter to sell drugs and is now behind bars. The next question is, can the little girl bounce back from this? Is it too late for her? Will she recall the time spent with her mother as a good experience or a bad one? This little girl was taught to examine money for drugs at a young age. This is not something that will just go away. She was basically being trained to be a drug dealer. Silvia has 3 other children, all living with their father, thankfully. One thing is for sure, this little girl will need a strong support system. Therapy might even be necessary for her to maintain a healthy life. Silvia, 41, also gave herself the nickname of La Pantera or the panther. She clearly thinks of herself in a high drug dealing position that warrants a street name. The one thought I can’t get over is why have the little girl collect the money? I could see her wanting to bring her daughter as a cover up, but not part of the transaction. Diving into the mind of a mother that uses her 7 year old daughter to sell drugs is not easy. Bringing a child along might make for a descent smoke screen. After all, who brings a 7 year old girl to a drug deal? This disgusting mother took it a step further, with training her daughter in the drug dealing process. We can only hope that this experience has not completely ruined this little girl’s life. The undercover video is shown here.